Oregon Beachcomber Blog - What's washing up? : How long will it be there? What happens when somebody litters in the ocean? 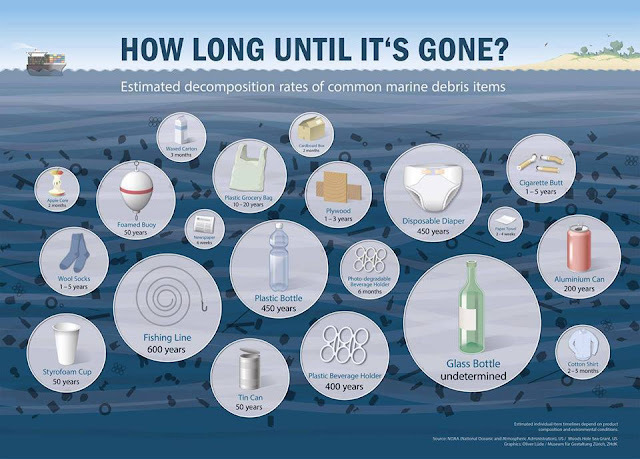 This graphic from the Museum für Gestaltung, Zürich Germany shows how long trash will be out there.